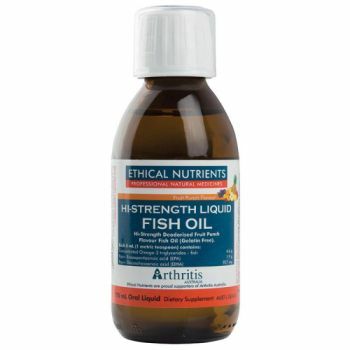 Hi-Strength Liquid Fish Oil represents the state of the art in purified fish oils. Hi-Strength Liquid Fish Oil undergoes molecular distillation to provide high quality and purity. Sourced from oily cold-water fish. 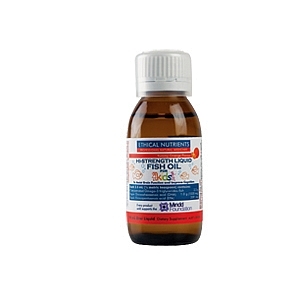 Hi-Strength Deodorised Fruit Punch and Fresh Mint Flavour Fish Oil (Gelatin Free). * Help relieve the symptoms of arthritis. * Support a healthy cardiovascular system. * Help to maintain normal healthy cholesterol levels in healthy people. * Support healthy cognitive function. * Relieving symptoms of arthritis. * Maintaining normal healthy cholesterol levels in healthy people. * No added artificial flavouring, colouring or preservatives. Free from gluten, wheat, dairy, lactose, corn, cereals, eggs, yeast and salt. * During times of stress. 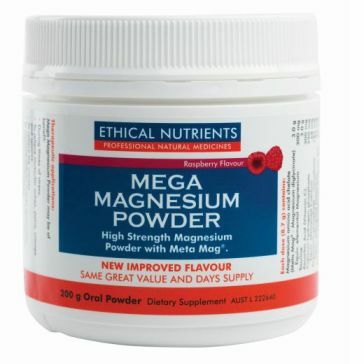 Ethical Nutrients Hi-Strength for kids assists Brain Function and Improve Cognition. Suitable for use in pregnancy and lactation.